The study of extrasolar planets and of the Solar System provides complementary pieces of the mosaic represented by the process of planetary formation. Exoplanets are essential to fully grasp the huge diversity of outcomes that planetary formation and the subsequent evolution of the planetary systems can produce. The orbital and basic physical data we currently possess for the bulk of the exoplanetary population, however, do not provide enough information to break the intrinsic degeneracy of their histories, as different evolutionary tracks can result in the same final configurations. The lessons learned from the Solar System indicate us that the solution to this problem lies in the information contained in the composition of planets. The goal of the Atmospheric Remote-Sensing Infrared Exoplanet Large-survey (ARIEL), one of the three candidates as ESA M4 space mission, is to observe a large and diversified population of transiting planets around a range of host star types to collect information on their atmospheric composition. ARIEL will focus on warm and hot planets to take advantage of their well-mixed atmospheres, which should show minimal condensation and sequestration of high-Z materials and thus reveal their bulk composition across all main cosmochemical elements. 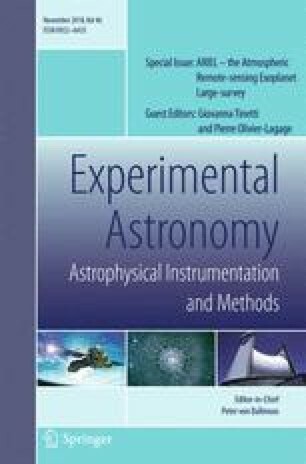 In this work we will review the most outstanding open questions concerning the way planets form and the mechanisms that contribute to create habitable environments that the compositional information gathered by ARIEL will allow to tackle. D. Turrini and P. Wolkenberg gratefully acknowledge the support of the European Space Agency (ESA) during their participation to ARIEL’s ESA Science Study Team. D. Turrini has been supported by the Italian Space Agency (ASI) under the contract 2015-038-R.0. The work of O. Panić has been supported through a Royal Society Dorothy Hodgkin Fellowship. A. Piccialli has received funding from the European Union’s Horizon 2020 Programme (H2020-Compet-08-2014) under grant agreement UPWARDS-633127.